A generator transfer switches are necessary to isolate the generator from the utility system when you install a backup generator to your home’s wiring system. Failure to properly transfer your power places you, your family and utility workers at great risk of electrocution. Transfer switches can be manual or automatic. Both portable and stationary generators may use manual transfer switch equipment. They can be very simple or very sophisticated in design and operation. And, they can send power to a single circuit or can be part of a panel that supplies multiple circuits. A transfer switch is required for any backup generator other than a portable model that uses an extension cord to supply single electrical loads like your refrigerator or a lamp. Manual transfer switches are generally the least expensive and least complicated of the two types of transfer switches. However, they require someone to be on-site to start and shut down the generator and physically operate the transfer switch. They come in various sizes and different configurations to suit your specific application. 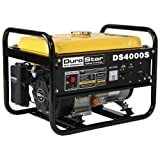 Home standby generators utilize automatic transfer switches, which monitor the power supplies and automatically switch from the normal utility supply over to the generator supplied power source in the event of a power outage. These have many different control and alarm features to include an option that can start and stop the generator on a predetermined maintenance schedule. Word of caution… you should probably hire a licensed electrical contractor to make your automatic transfer switch installation. 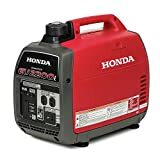 The last thing you want to have happen is the dangerous possibility of back-feeding, which happens when you connect your backup generator directly to the home’s wiring without having a legal transfer switch. One thing all backup generator systems have in common is the need for a way to transfer the power source from the utility to your generator. 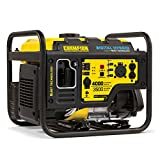 The simplest backup generator configuration might be to purchase a small inexpensive portable generator that delivers its electrical energy through an extension cord directly to such appliances as the refrigerator, freezer, microwave, portable room heater, lamps, etc. The advantage of this type of installation is its low cost and flexibility, but a potential disadvantage is that you may require a large surge of power in order to provide juice to your permanently connected electrical equipment such as the furnace, oven, water heater, or heat pump. For these you must have a more sophisticated and permanent backup generator wiring system. There are many types and sizes of backup generators, as well as many variables to consider when installing your emergency generator system. Each size and type of backup generator has different wiring connection requirements. When you are buying your backup generator and transfer switch, you must consider the voltage and amperage of the electrical loads you want to run. Some typical 120 volt loads in your house are: 1,500 watt – refrigerator, 75 watt – one lamp, 1,500 watt – microwave. If you are unsure what size backup generator or transfer switch equipment to buy, you should consult a qualified electrical contractor or retail outlet. A multi-circuit manual transfer switch panel is compatible with small portable generators that are typically 5,000 watt (5 kilowatt) or smaller backup generators. The installation is relatively simple to other types of transfer switching methods, requires minimal changes to your existing wiring, and there is minimal interruption to your house’s electrical power while making the installation. Multi-circuit manual transfer switch panels commonly come in 6, 8 and 10 circuit models. You can install them on the wall surface or flush in the wall next to your service panel. They come with a pre-wired wiring harness that connects directly into your existing panel. Inside your existing panel board, you must splice the harness into any existing circuits you want to power from your back-up generator. Automatic transfer switches come in a two common sizes: 100 amps and 200 amps. Take a look at the main breaker on your distribution panel. If you have a 200-amp main breaker (which is common in new homes), you will need a 200-amp automatic transfer switch. It is compatible with all four (20, 25, 35 & 45 kW) whole house generator systems. If you have a 100-amp main breaker (which is common in older homes), you will need a 100-amp automatic transfer switch. If your house is already running off of 100-amps, there’s no point in buying a big whole house generator. We recommend purchasing the 20-kilowatt version, since the 25-kilowatt system produces more than 100 amp of power. The Pramac manual transfer switch 7.5kW indoor 10 circuit model 04995 is the industry’s most versatile manual transfer switch. It can be expanded to 16 circuits. Plus, it can be hardwired to your generator or installed with a plug-in cord connection. 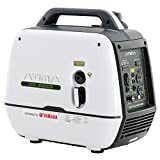 For automatic operations, the Briggs & Stratton 50 amp Nema3 model EM50 N3 #1918 works with most generator systems and provides start-up within about 20 seconds from utility downtime. We strongly recommend hiring a licensed electrician, who is familiar with local building and electrical codes, to install your back-up generator transfer switch.